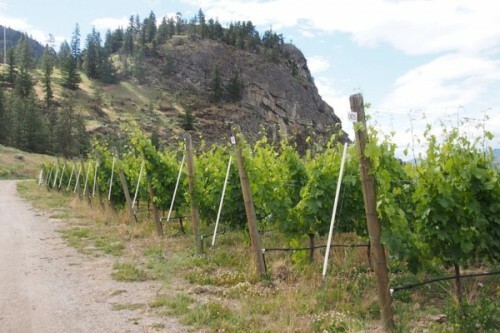 Summerhill Pyramid Winery is one of the Okanagan’s most distinctive. We visited with Ezra Cipes, CEO and son of the founder Stephen Cipes. 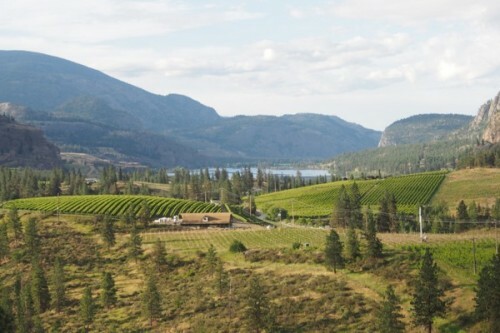 Stephen brought his family here back in 1986 from New York, and began Summerhill Pyramid winery in collaboration with winemaker Eric von Krosigk. 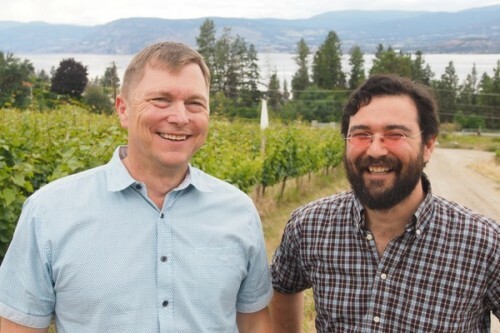 Back in the late 1980s, when the Okanagan was deciding on its future direction – the switch from hybrid to Vitis vinifera vines was well underway – Jack Davies from Schramsberg came to visit as a consultant. 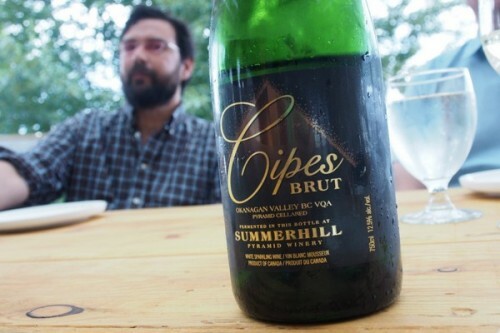 He inspired the Cipes to focus on sparkling wine. Eric adds an interesting perspective. ‘The soil is its own ocean. Everything is down there. There is incredible interaction and interconnectivity.’ All this going on underground, and we don’t see it, nor are we aware of it. But it’s hard to get past the pyramid. Stephen Cipes took us in there. It’s a one-eighth scale replica of the great pyramid, and they were preparing for a guided meditation inside as we entered – this was the summer solstice. 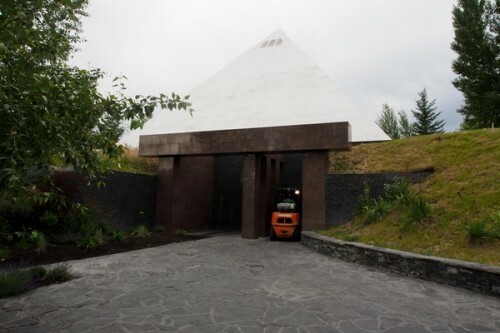 All the wines, at some stage, pass through the pyramid. ‘Liquids are changed and transformed in the sacred geometry chamber,’ says Stephen. His view is that the energy here makes a good wine better, but also a bad wine worse. If people enter in a good mood they will leave brighter, but if they enter in a bad one, it will get worse. The Cipes Brut NV, a blend of Riesling, Chardonnay and Pinot Blanc, is fresh, pure, affordable and delicious. The Blanc de Noirs and Blanc de Blanc (no ‘s’) are both lovely withs with admirable purity and precision. Then we get to the more intense, distinctive cuvées: the Ariel 1998 is bold, toasty and intense, and comes in a very distinctive bottle (a third broke during the second fermentation). And the 1996 Cuvée Tradition is really distinctive: bold, toasty and with some apricot, bacon and sage notes. I like them, but they are an acquired taste. A range of still wines are also made, and these are very good. The Gruner Veltliner 2015 is the inaugural release, and it may well be the best I have tried outside Austria. It’s floral, aromatic, peppery and rich with a detailed spiciness. There’s a fine, textured off-dry Riesling (2014), and a really appealing Pinot Noir (2012). But the highlight was the Pyramid Aged 2007 Pinot Noir, which showed vitality, concentration, texture and finesse. 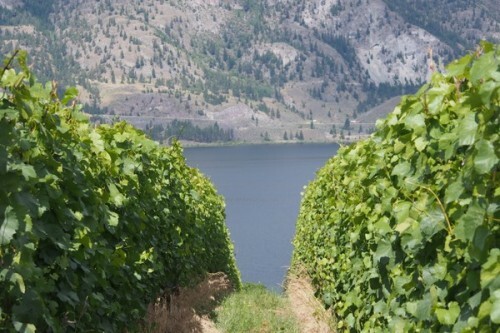 Liquidity is a new winery and bistro in the Okanagan Falls area. 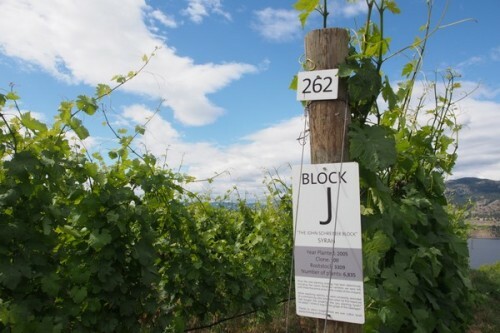 We met with owner Ian MacDonald and winemaker Alison Moyes to have a look at their range of wines. This is an 8000 case winery with 15 hectares of vines, and first vintage was 2012. 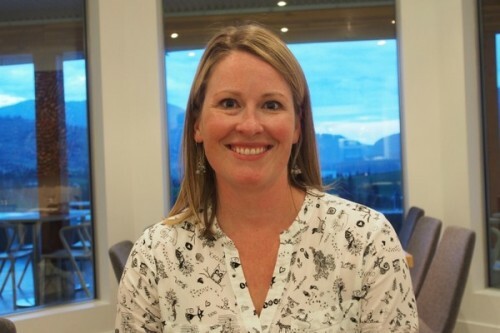 Alison has been here since 2015. The wines are all pretty solid, but I was most impressed by the Chardonnay (2014), which is made in a fresh New World style with some spicy oak complementing the clean fruit, and the Pinot Noir (2014), with its lovely floral cherry fruit nose. The Merlot and Bordeaux-style blend Dividend are also pretty good (both from 2014 too). 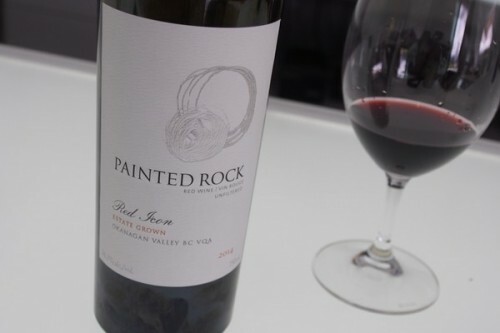 Painted Rock is another property that I’ve visited before, and I’ve also run into the wines in London a few times. 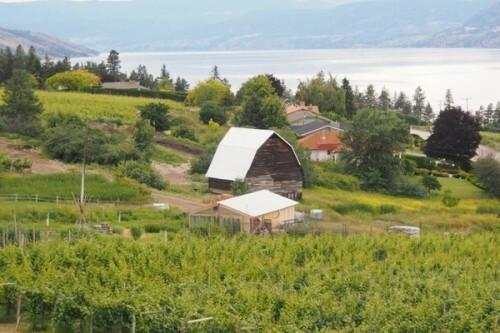 The dynamic, detail-oriented John Skinner founded this property after an extensive search for the perfect vineyard site in the Okanagan, and carefully planted it with a mix of Bordeaux varieties and also Chardonnay and Syrah. 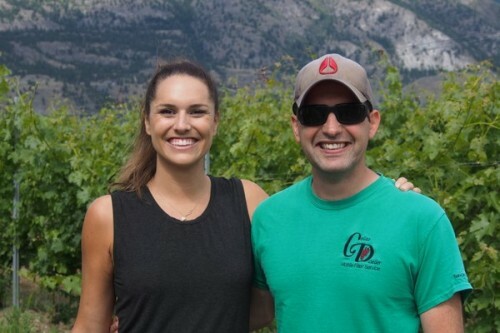 We visited with John’s daughter Lauren Skinner, and also assistant winemaker Gabriel Reis. 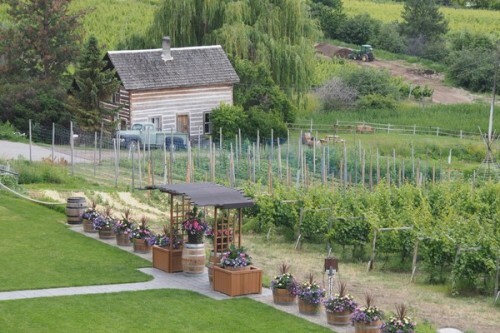 It’s a lovely spot, and the winery has a really stunning visitor centre. 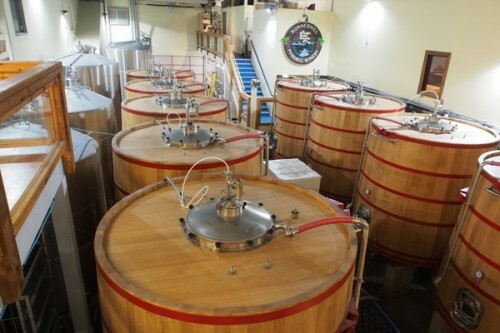 The wines are very well made in a modern style that borrows from both old and new world traditions. They are incredibly polished, and have been well received by critics. The Syrah 2013 is rich, bold and ripe with a little bit of exotic, spicy American oak in the mix. There’s also a bit of cool climate pepperiness here. The Merlot is impressive, with its sweet texture and fine-grained, chalky texture under the generous black fruits. But it was the 2014 Red Icon that I fell for. It’s a five-way Bordeaux style blend, but as well as showcasing ripe fruit, it also has an expressive personality, shows a bit of restraint, and has attractive floral aromatics.